Here's a perfect example of how you can take a very masculine theme like "construction" and make it look crazy beautiful. I can't wait to see the rest of this construction themed wedding! 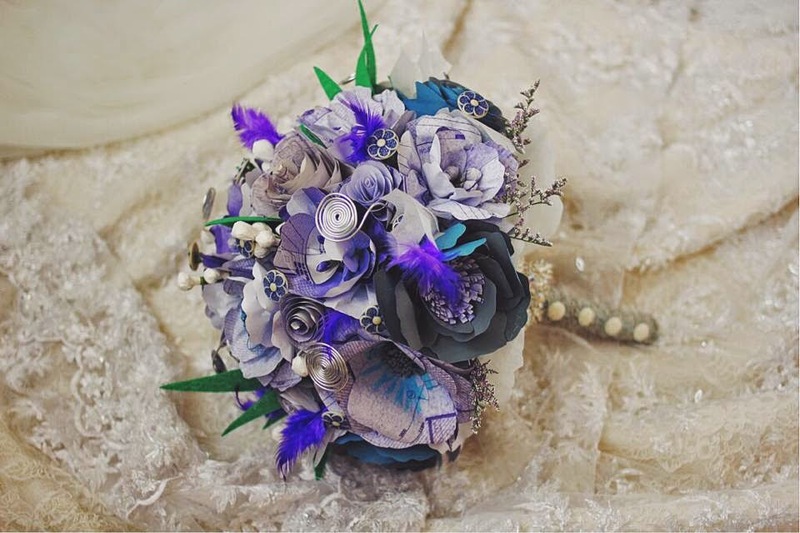 The bouquet below was made by no less than Teddy Manuel. This non-floral bouquet is made from Blueprint paper and metal wires!